In 1942, a team at the University of Chicago achieved what no one had before: a nuclear chain reaction. At the forefront of this breakthrough stood Enrico Fermi. Straddling the ages of classical physics and quantum mechanics, equally at ease with theory and experiment, Fermi truly was the last man who knew everything-at least about physics. But he was also a complex figure who was a part of both the Italian Fascist Party and the Manhattan Project, and a less-than-ideal father and husband who nevertheless remained one of history's greatest mentors. 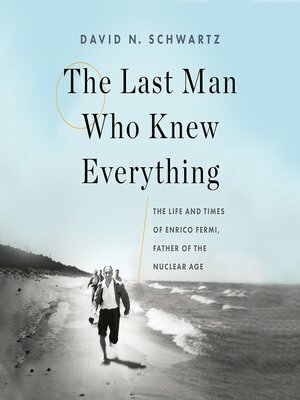 Based on new archival material and exclusive interviews, The Last Man Who Knew Everything lays bare the enigmatic life of a colossus of twentieth century physics.